Welcome to the Monasterevin Hopkins Society website. 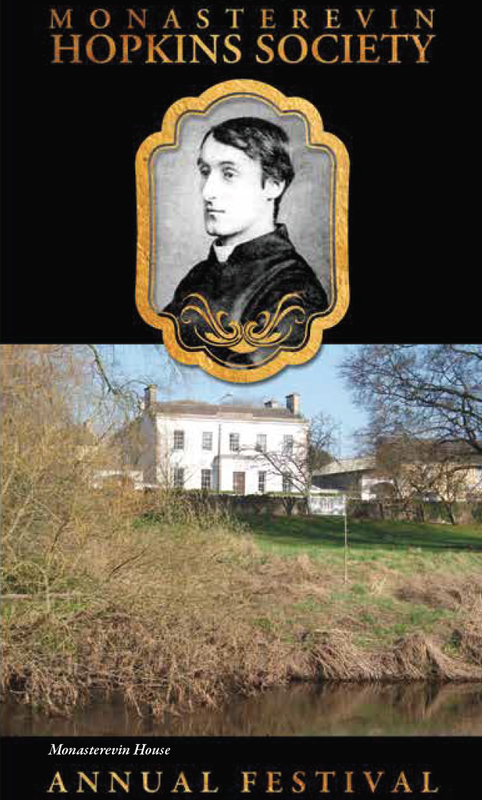 Our society celebrates Gerard Manley Hopkins, his poetry and his unique connection to our community in Monasterevin. We hold a annual festival, and invite you to join us and gain an insight into the community and location that he referred to as “one of the props and struts of my existence”. Dates: Fri 26th July and Sat. 27th July. Visit to Monasterevin House where Hopkins fondly mentions taking 6 or 7 short breaks. Videos of 2017 events have been added to our Youtube Channel. We now have a Facebook Page. Please like us! We now have a Youtube Channel. Please subscribe to it! Gerard Manley Hopkins, S.J. (28 July 1844 – 8 June 1889) was an English poet, Roman Catholic convert, and a Jesuit priest, whose posthumous fame established him among the leading Victorian poets. His experimental explorations in prosody (especially sprung rhythm) and his use of imagery established him as a daring innovator in a period of largely traditional verse. Hopkins moved to Dublin in 1884 and died there in 1889. During this time he was a professor of Greek and Latin at University College Dublin. In letters to his mother and friend, English Poet Laureate Robert Bridges, he fondly mentions taking 6 or 7 short breaks at Monasterevin House with the Cassidy sisters commencing in 1886. The Cassidy family were wealthy Catholic whiskey distillers. Monasterevin has been celebrating the Hopkins’ association since 1988 when a module on Hopkins was included in the Monasterevin Canal Festival. The Monasterevin community has supported and organised the Annual Monasterevin Hopkins Festival every year since, under the aegis of a number of community organisations. Since 2010, the Annual Hopkins Festival is organised by the Monasterevin Hopkins Society. The Annual Monasterevin Hopkins Festival is a celebration of Hopkins, his poetry and his connection with Monasterevin. The program consists of poetry, literature, lectures, and music with the aim of educating and stimulating the community. Please visit our Past Programs page for further information. If you have any comments, suggestions or feedback, please feel free to contact us.